August 31, 2016 When The Minco Group and its All Service Plastic Molding (ASPM) subsidiary set out to achieve Zero Net Waste using SPI’s program, it couldn’t have known how it would impact its operations, or its bottom line. But Minco Program Manager Andy Brewer, with the support of Vice President Dan Norris, organized and led a company Green Team which implemented the program and started monitoring their progress. August 23, 2016 Since 2003, the U.S. Department of Agriculture’s (USDA) BioPreferred Program has focused on accelerating the development and expansion of markets for biobased products, including bioplastics. As part of SPI’s inaugural Bioplastics Week, we recently sat down with Kate Lewis, deputy program manager at USDA to learn more. August 5, 2016 Every four years, millions around the world turn their attention to the Olympic Games and watch athletes bike, flip, swim and run to represent their respective countries in the global competition. Is Your Product Industrially Compostable? July 28, 2016 Companies today are focused on creating products that are sustainable, meaning they are made with materials that minimize the impact on our environment. You may have some familiarity with biodegradable products, which are one solution to companies’ need to create environmentally-conscious products. July 25, 2016 The plastics industry continues to find innovative ways to create products that are environmentally friendly without compromising the needs of consumers. In a world where recycling is a learned-behavior, along the way there has been urban legend that foam cups – popular in many an office and college party – are not recyclable. June 30, 2016 SPI: The Plastics Industry Trade Association is one of several organizations which funded a newly-released study organized by the Sustainable Packaging Coalition (SPC), 2015-16 Centralized Study on Availability of Recycling. The report examines the prevalence of consumer recycling programs across the United States and the roughly 50 types of packaging in those programs. May 16, 2016 Each Earth Day, we celebrate preserving our planet and put in some extra effort to clean up our communities. Now more than ever, those within the plastics industry understand the commitment to sustainable practices and programs that will help to protect the world we live in for generations to come. April 12, 2016 The plastics industry’s best asset is its people; always has been, always will be. The nearly one million plastics professionals in the U.S. aren’t just the fuel of a $427 billion industry. 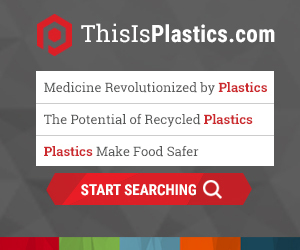 April 4, 2016 Bioplastics are found in our daily lives, and people don’t know it. They drink from biobased plastic bottles or drive in cars with seats and tubing that come from biobased sources. They go to parties and eat with compostable plates and forks. At the hospital, bioplastics are found in sutures and implants.